You can hardly go wrong with Antigua, but Rudy Girón goes the extra mile. Every day he posts a new photo from the city, along with some pretty interesting commentary. Some of his favorite topics are food, architecture, and signage, but really nothing is out of bounds. Well worth checking out (click iamge below). 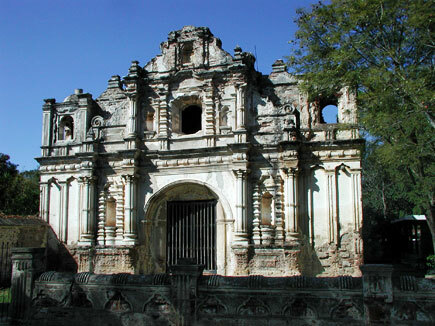 This magnificent ruin is San Jose El Viejo in Antiguaga, Guatemala. 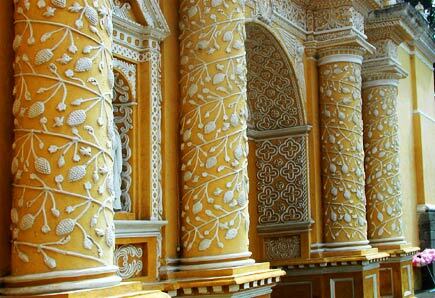 In some ways it is the quintessence of the baroque, rather Moorish impulse in Antigua architecture. Antigua’s distinctive architecture is not all in a single style, yet a certain spirit seems somehow common to each of the examples. 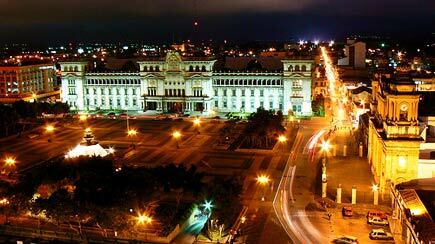 Elaborate facades such as that of La Merced (shown) have been called churrigueresque (a term indicating elaborate symmetrical ornamentation). 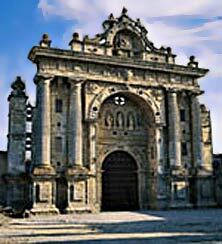 Other writers have called Antigua’s architecture hispano-indigena. But S.D. 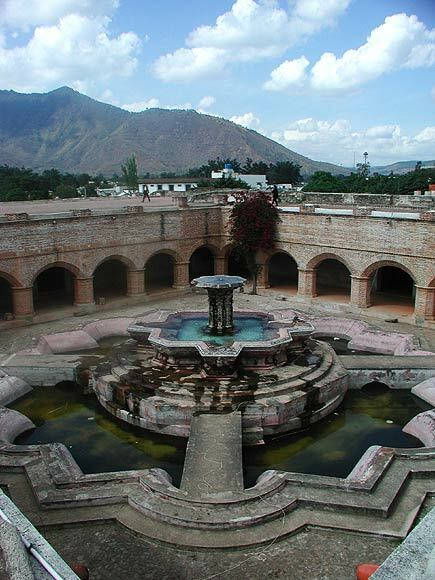 Markman, in his excellent Colonial Architecture of Antigua Guatemala considers Antigua’s architecture to be in essence mudejar. The term mudejar is applied to Moors who remained in Spain after the Christian reconquest. It is a corruption of the Arabic word mudajjan, meaning “domesticated.” In book arts, a mudejar binding is one decorated with intricate interlaced designs, and in architecture it refers to a late medieval and early Renaissance Spanish style influenced by Moorish tastes. The mudejar architectural style, in essence, involves the use of simple materials such as brick, tile, plaster, metals, and wood, which are then elaborately worked. For the Spanish workers who developed the style, labor and creativity were more obtainable than were fine, expensive materials. According to Markman, the Spanish examples closest to the Antigua style are found in the provinces of Seville, Huelva, Cadiz, and Malaga (which collectively were called the Reino de Sevilla). “But this comparable stylistic mood is not to be found in the monumental churches of the capital cities of this part of Spain, rather in the small towns of the countryside.” The image at right is the Carduja Monastery in Cadiz, Spain (the image is from somewhere on the web, but I have lost the address). The mudejar style was exported to the new world as a craft tradition, which underlay all of the iterations and evolutions of the architecture of the often-rebuilt city (most of its architectural landmarks contain elements from a variety of different periods). “The mudejar is the one Iberian style which predominates and underlies all the other recognizable styles from which the Antigua style is derived,” says Markman. It is “the basic core on which the other imported Iberian styles appear as an accretion. In this respect, the architectural tradition of Antigua is but an extension of that of the Reino de Sevilla where the mudejar style is not confined to a single stylistic period, but one which lies submerged in the nonindigenous styles such as the Gothic, Renaissance, and baroque. The same process of assimilation and acculturation of architectural styles seems to have taken place in Antigua. In future posts we will have an opportunity to look in more detail at some of the elements that characterize the mudejar-influenced Antiguan style in architecture. 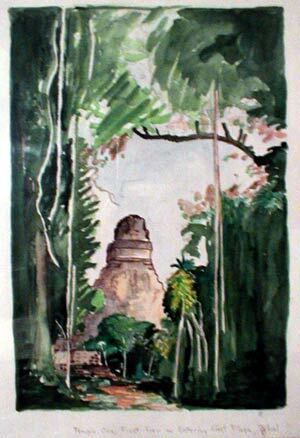 This is a watercolor I did some years ago. 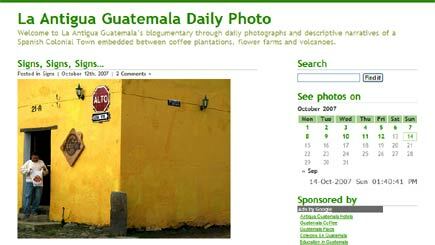 Tigre fe54 has a nice set of door knocker photos from Antigua, Guatemala, at his flickr site. Clickable thumbnails appear below, via the Crossroads plugin. Mathematicians define the golden section as a relation in which the smaller unit is to te larger unit as the larger is to the sum. In other words, a:b = b:(a+b). The name for this relation is phi. Its numeric value is 1.618034. Phi is an interesting number. If you add 1 to it you get its square. If you subtract 1 from it, you get its reciprocal (1/phi). If you keep multiplying it by itself you get an infinite series that retains the phi proportion. The thirteen-century Italian mathematician Leonardo Fibonacci discovered that the phi proportion often manifests itself in nature as a spiral of increase found in snails, seashells, pinecones, and so forth. And so, it is said, did Maya mathematicians. 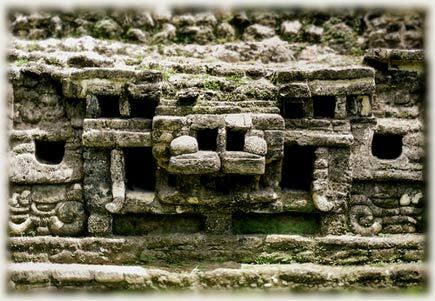 One element contributing to the beauty of Maya architecture may be its use of the golden section. 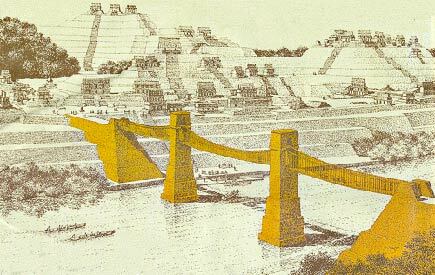 (In the image above, I have drawn an approximate golden section over the opening atop the east court at the Maya ruins of Copan in Honduras.) Of course, we must beware of what a professor of mine called “the blueberry principle” — if you are out gathering blueberries you tend not to notice anything else, and you tend to see blueberries wherever you look. If we go looking for the golden section, we are likely to find it. But does this mean the Maya consciously employed it? A researcher named Christopher Powell concluded that the answer to this question is “yes.” He says that the fundamental shape of Maya geometry is the golden section, and that the Maya composed such sections using a procedure that is brilliant in its simplicity. Using a cord, it is easy to construct a square. If the cord is doubled back on itself it obviously becomes half the length, and that halved cord can be used to find the midpoint of one of the sides of the square. Next, if the cord is placed on the midpoint and extended to one of the opposite corners, it can be swung like a compass in an arc that will define the length of a golden section, from which the final rectangle can be constructed. 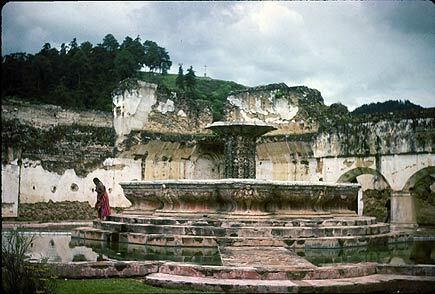 Powell observed modern Yucatec Maya using this very technique. He was told that the use of the cord makes houses that are like flowers because of the relations of their proportions. 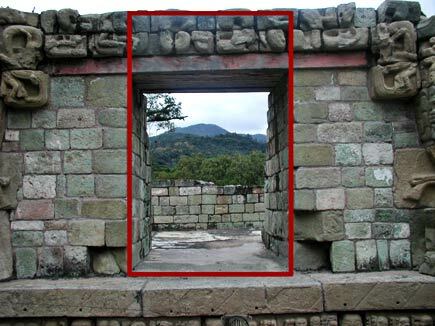 His theory appears to have been confirmed by red marks that remain on some structures at Copan and Tikal and suggest sizing via this cord method.